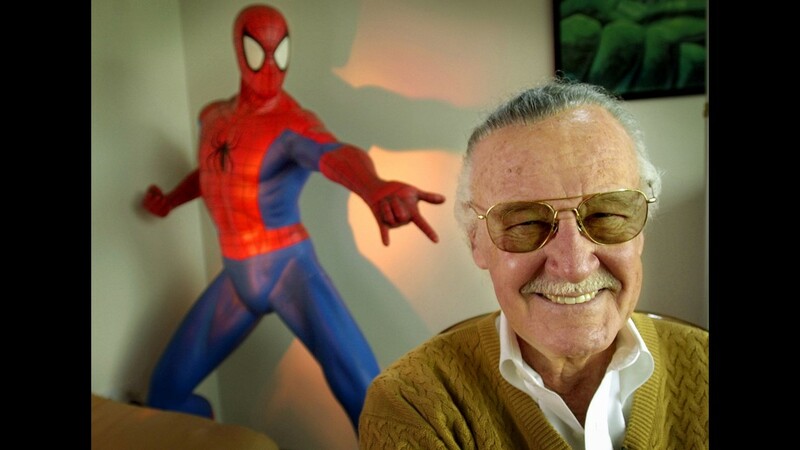 The biggest name in the comic-book world is gone. 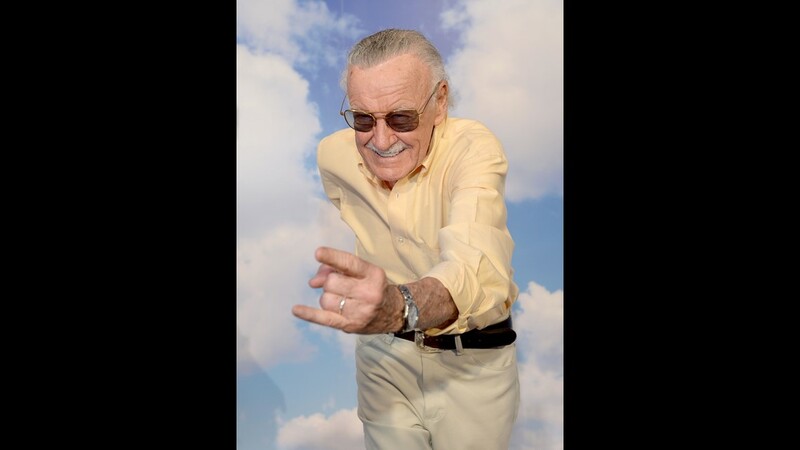 Marvel co-founder Stan Lee died Monday, Nov. 12, 2018, a family attorney confirmed to the Associated Press and Variety. 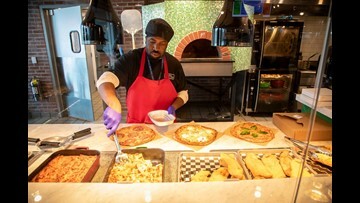 Lee had suffered medical setbacks earlier in the year. Click forward to revisit his life and career. Lee was born Stanley Martin Lieber in New York City, on Dec. 28, 1922. 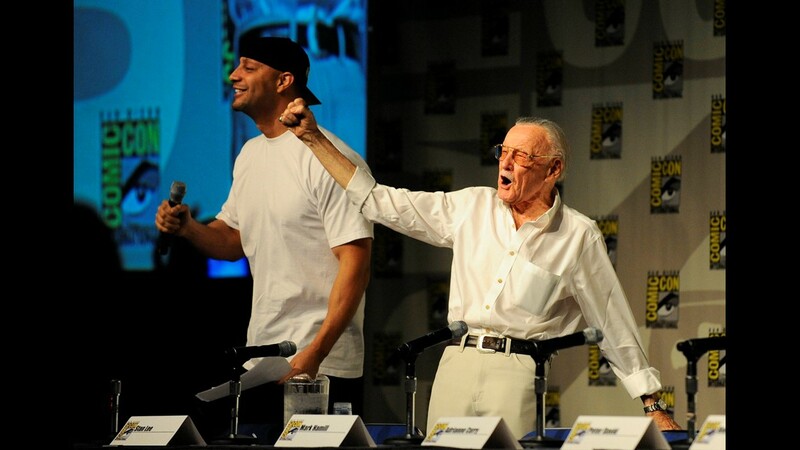 With artist Jack Kirby, he created the Fantastic Four super-hero team in 1961. He would also go onto create his own company POW! Entertainment. 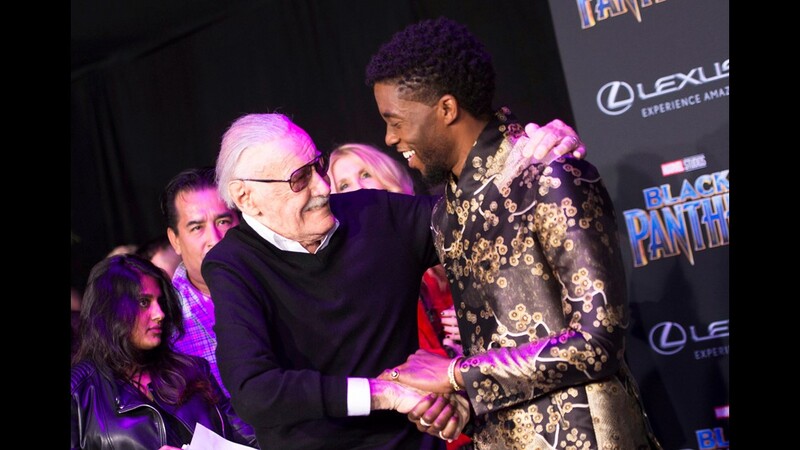 Stan Lee greets 'Black Panther' lead actor Chadwick Boseman at Monday's world premiere of Marvel's 'Black Panther' in Hollywood. 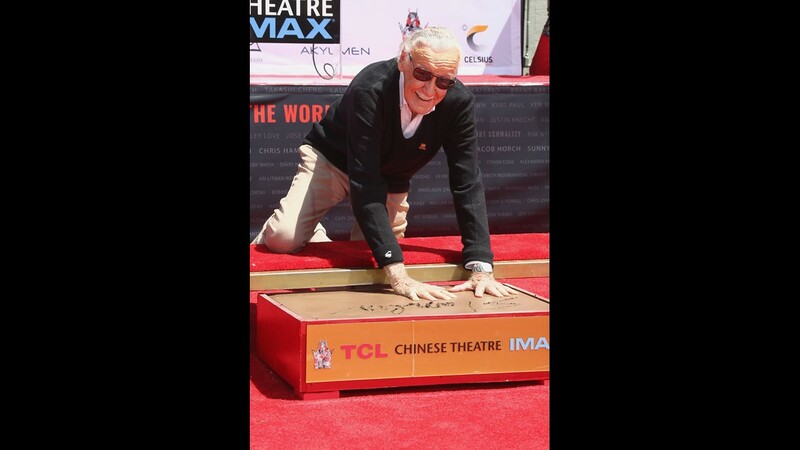 Stan Lee gets down for his Hand And Footprint Ceremony at TCL Chinese Theatre IMAX on July 18, 2017, in Hollywood. 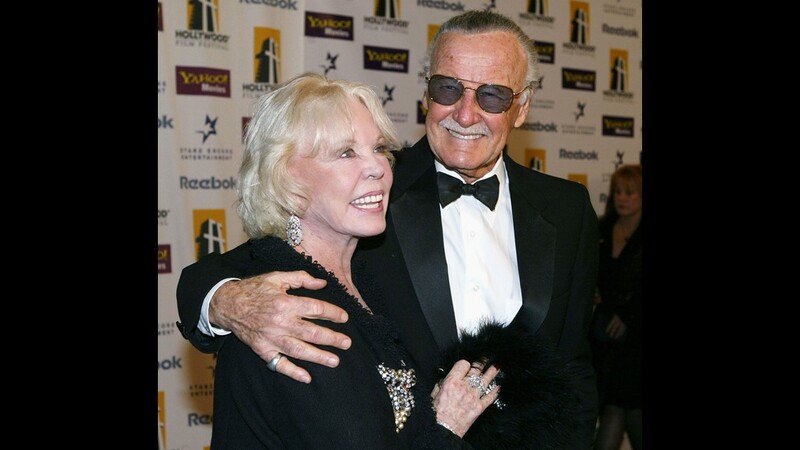 Lee's wife of many years, Joan Lee died on July 6, 2017, in Los Angeles after reportedly suffering a stroke. She was 93 years old. The couple was married from Dec. 5 1947 until her death. 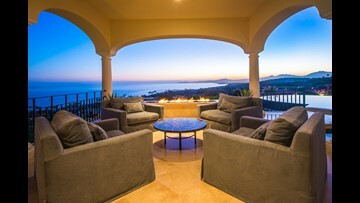 The had two children. 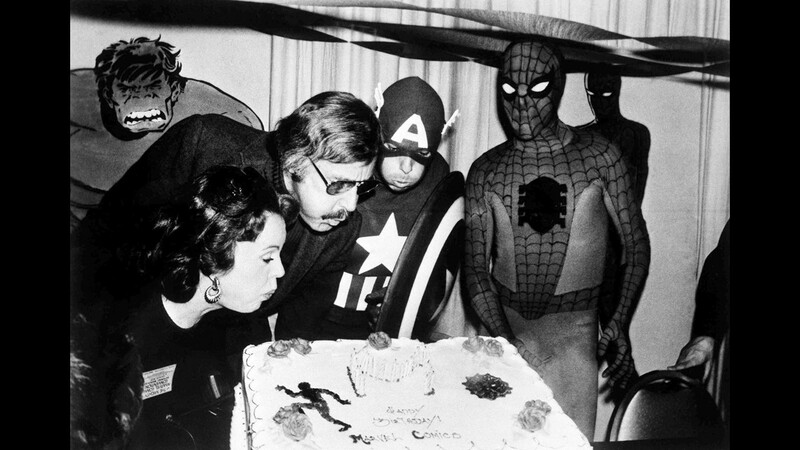 Mighty Marvel comic book publisher, Stan Lee, center left, blows out the candles on the Marvel Comics birthday cake at opening day ceremonies of the First Mighty Marvel Comic Book Convention, March 22, 1975, New York. 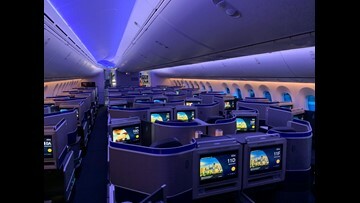 At left is Lee's wife Joan and on the far right, Spider-Man. 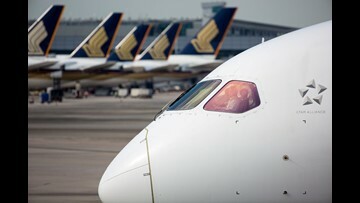 Another Marvel Superhero, Captain America looks on from the rear. 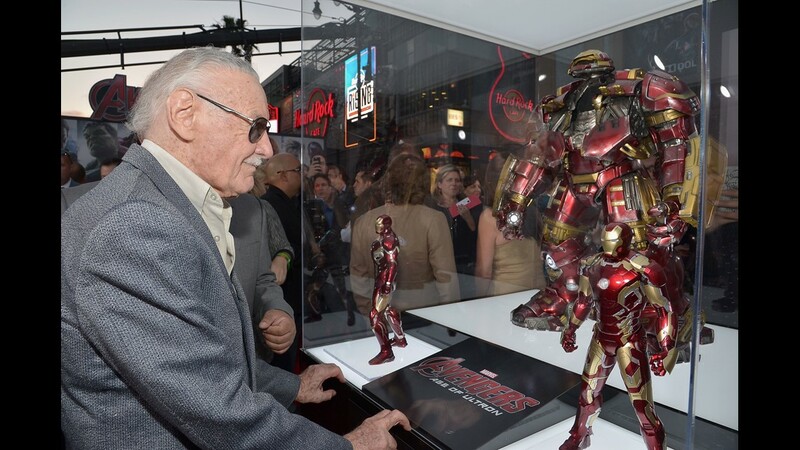 Lee attends the world premiere of Marvel's "Avengers: Age Of Ultron" at the Dolby Theatre on April 13, 2015 in Hollywood. 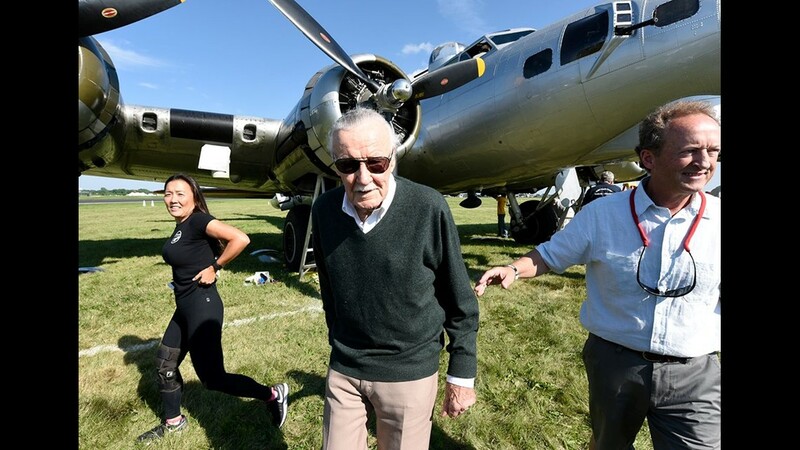 Always adventurous... Stan Lee, co-creator of characters like Spider-Man, the Fantastic Four, Hulk, Thor and the X-Men walks with astronaut Charles J. Precour after checking out the Experimental Aircraft Associations B-17 the Aluminum Overcast at Airventure in Oshkosh Wisc. 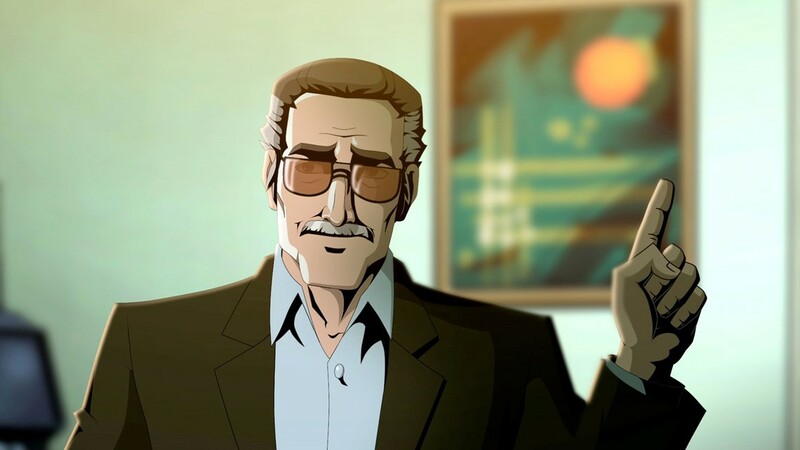 Stan Lee stars in and is executive producer of the animated movie Stan Lees Mighty 7. Lee often made cameo appearances in popular television shows and film. 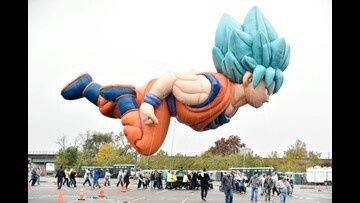 He even had a Hasbro action figure created in his image. 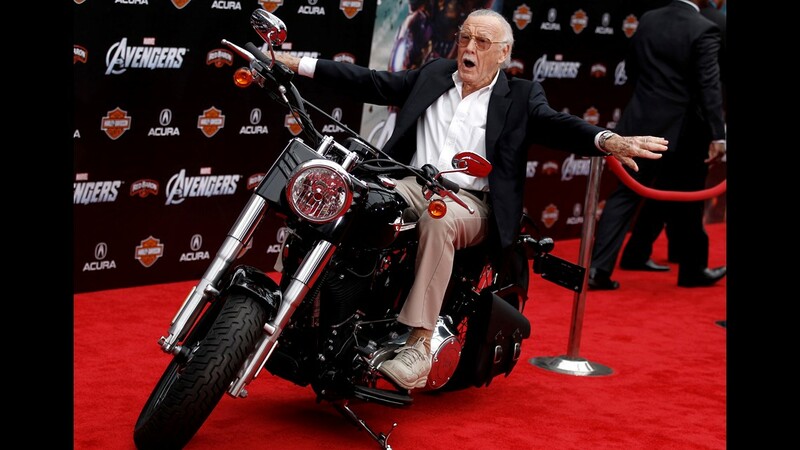 Stan Lee arrives at the premiere of 'The Avengers' in 2012. 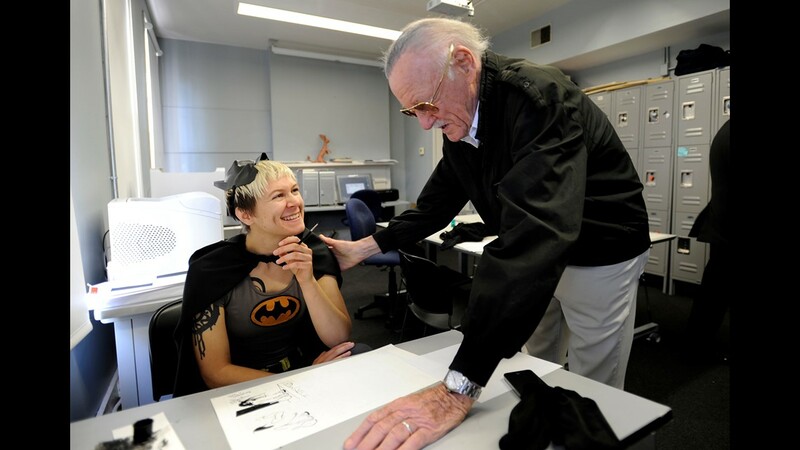 Legendary comic creator Stan Lee, right, takes time to look over a drawing by Savannah College of Art and Design sequential art student Jen Hickman while visiting the college in Savannah, Ga., on Oct. 31, 2012. Lee dropped in on the school after being honored at the SCAD Savannah Film Festival. 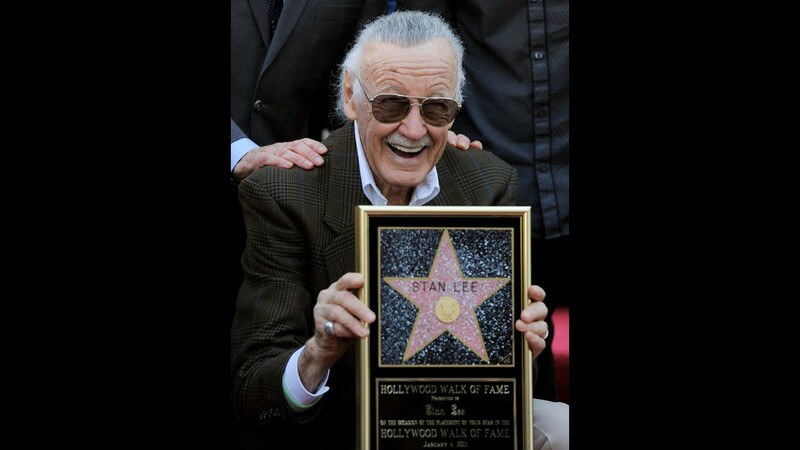 Comic book creator Stan Lee poses with a replica of his new star on the Hollywood Walk of Fame in Los Angeles, Jan. 4, 2011. 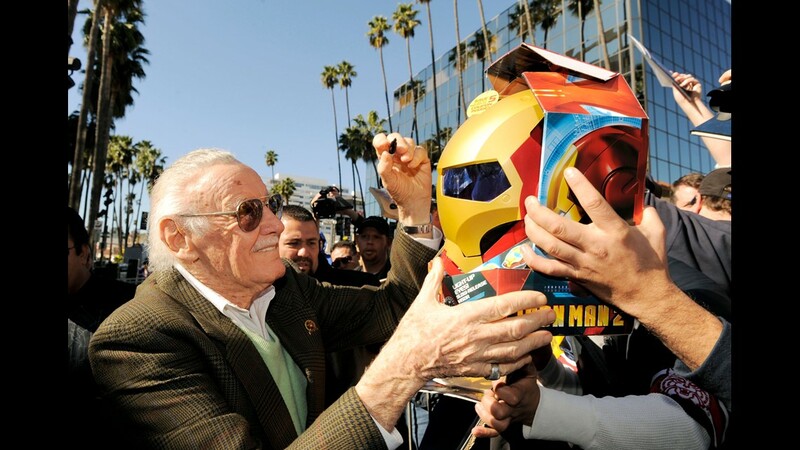 Lee signs a fan's "Iron Man 2" helmet after he received a star on the Hollywood Walk of Fame. 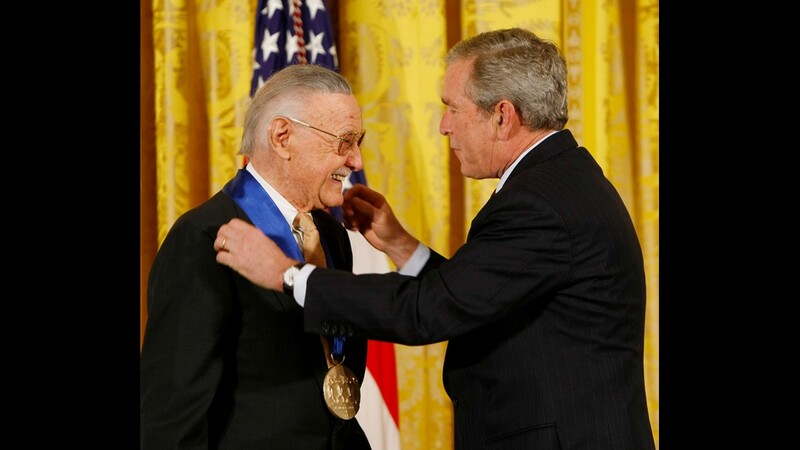 President George W. Bush presents the 2008 National Medals of Arts to comic book creator Stan Lee, Nov. 17, 2008, in the East Room of the White House. 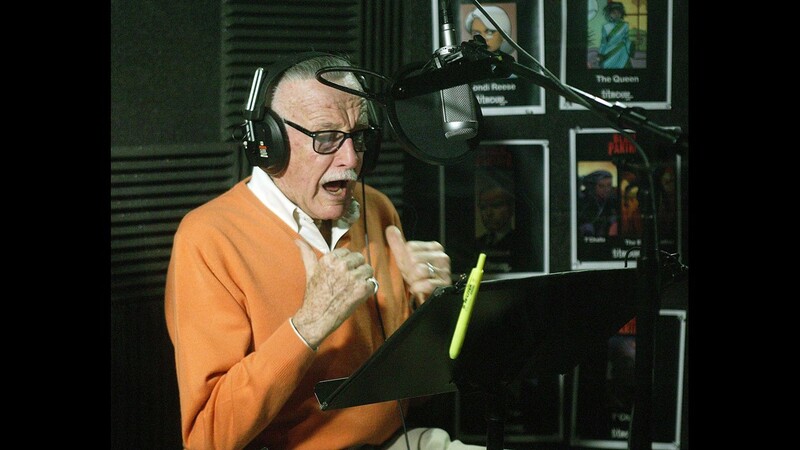 Stan Lee records voice-over tracks for BET's animated TV series 'Black Panther' in 2008, at Titmouse Studios in Hollywood, CA. 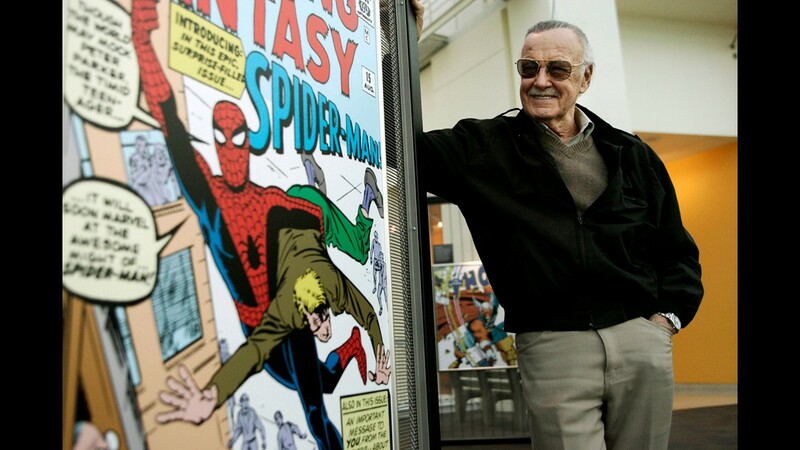 Lee stands beside some of his drawings in the Marvel Super Heroes Science Exhibition at the California Science Center in Los Angeles in 2006. 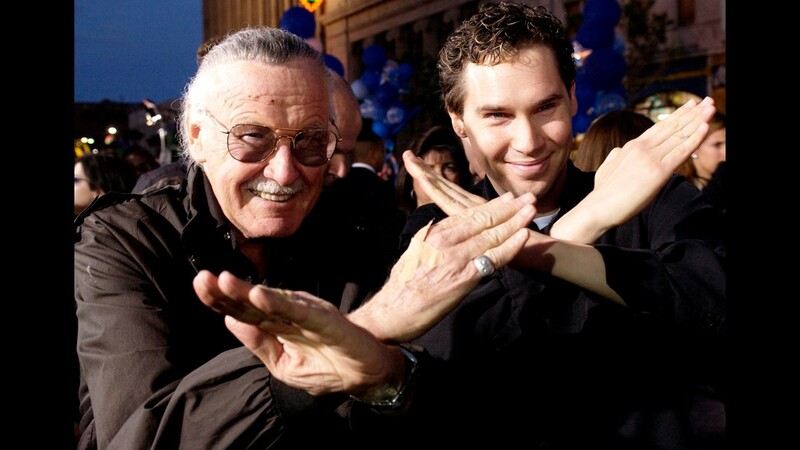 Marvel Comics chairman Stan Lee, left, and director Bryan Singer arrive at the premiere of 'X2: X-Men United,' on April 28, 2003, in Hollywood. 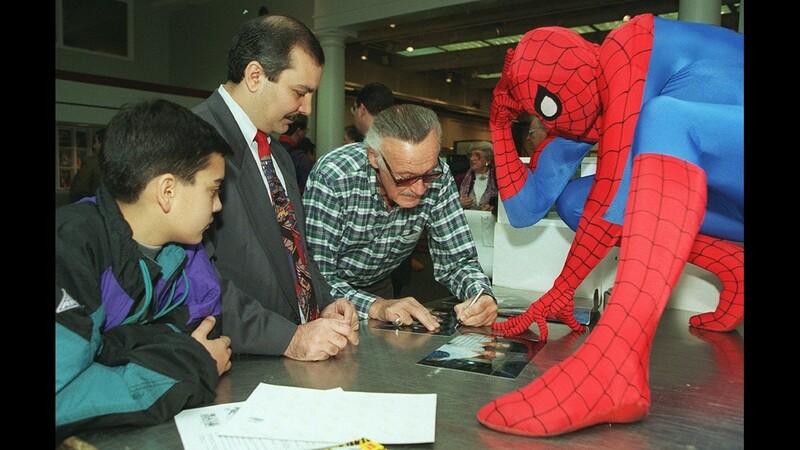 Spider-Man looks on at Christie's East auction house in New York, Nov. 18, 1995, as his creator, Stan Lee, autographs a photo for 12-year-old Peter Mannarino, left, and his father Joe, of Ridgewood, N.J. From Spider-Man to the Incredible Hulk, vintage Marvel characters - in the form of production cels, comic book covers, original strips and even circa 1960s T-shirts - went on the block Saturday at the normally staid Christie's. 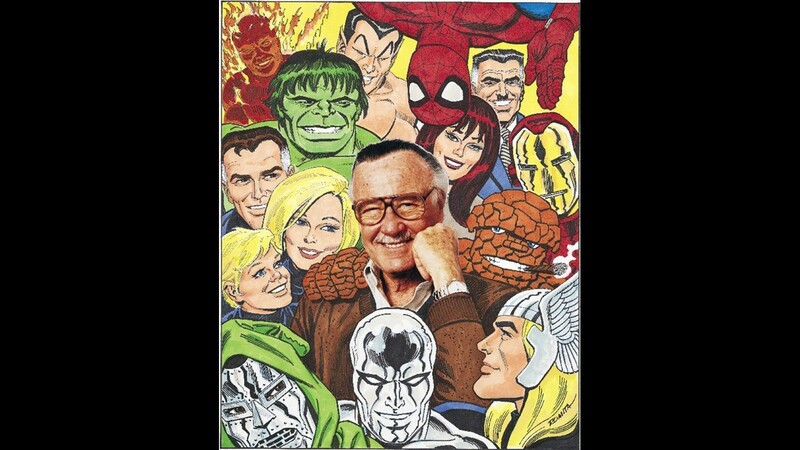 Spider-Man creator Stan Lee is surrounded by some of the comic book characters that he has created. 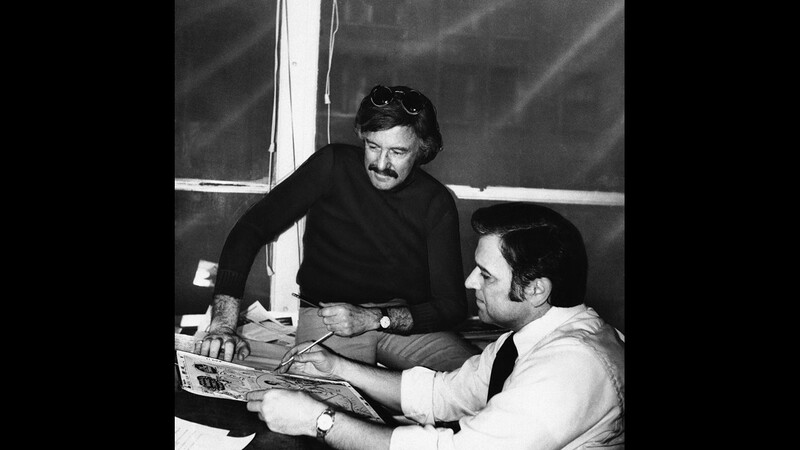 Stan Lee, left, publisher and editor of Marvel Comics, and his art director, John Romita, look at a drawing on March 5, 1975, which will appear in a comic book. The company publishes about 85 different comic books, most of them monthly, most of them featuring superheroes, most written in college-level vocabulary. However, there's one in language so simple that remedial readers are meant to improve and be encouraged to read further.